The Government has decided to absorb the interest of microfinance loans less than Rs. 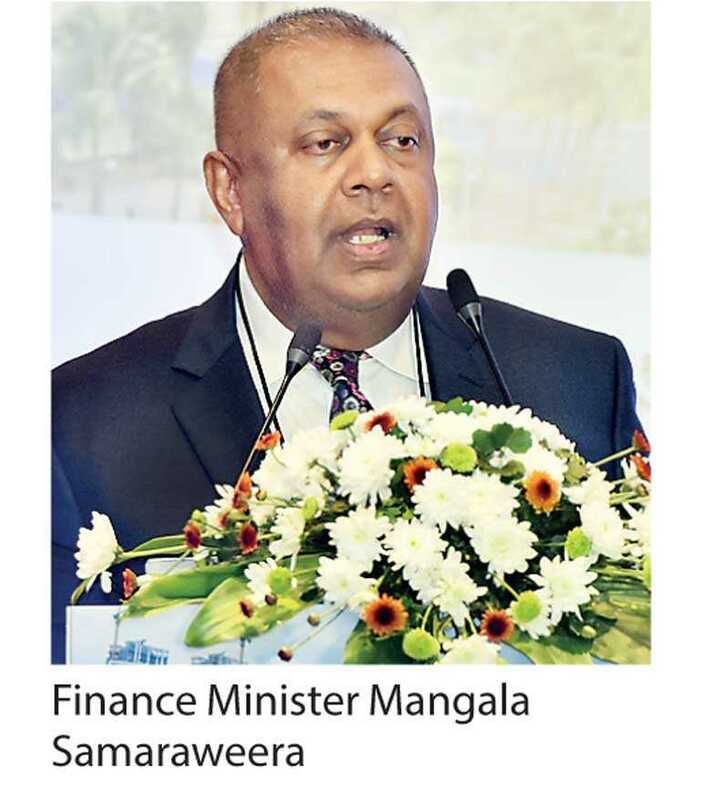 150, 000 extended by errant microfinance companies, Finance Minister Mangala Samaraweera told Parliament yesterday, and would publish new regulations to streamline the industry and improve accountability later this month. The measure is expected to bring relief to thousands of families who have obtained credit facilities less than Rs. 150, 000 and are now unable to payback. According to the Minister of Finance and Mass Media Mangala Samaraweera, the Government will be absorbing the interest component of each credit facility issued at extremely unfair rates. New regulations for microfinance companies will be published on 22 June. “Most of the microfinance and finance companies have ruined the financial sector of Sri Lanka. Especially in the Northern and North Central parts of the island where a few female borrowers have committed suicide because they were unable to bear the pressure. Some depositors and borrowers of these microfinance companies are in a pathetic condition. In the absence of payments, the officers of these companies have started obtaining sexual bribes from borrowers, especially from young women who are unable to pay back,” Minister Samaraweera told the Parliament. He agreed with Chief Opposition Whip JVP leader Anura Dissanayake to amend laws and to further regulate the finance and microfinance sectors to avoid additional people being trapped into indebtedness. “These finance companies and microfinance companies have created a sadistic situation. A committee comprised of Central Bank officials will be appointed and without getting politics involved, the matters will be discussed. In the past, some officers of the Central Bank were also involved in these unfair finance matters. But, I have full trust and faith in the current Governor and his deputies in finding a firm solution for these bankrupting finance companies and microfinance companies,” the Minister added. According to Minister Samaraweera, finance companies becoming bankrupt is not a new phenomenon in Sri Lanka. He pointed out that since the 1980’s, Sri Lanka has seen sporadic bankruptcies due to poor management, credit control issues, disbursement of money without proper assessments and diversification of portfolio, and environmental disasters that led to debt write-offs that left many companies bankrupt. “During the past, the Government got involved and compensated the depositors of bankrupt finance companies to a certain extent, but the Government can no longer make use of moneys allocated for economic development and public welfare to compensate the depositors of bankrupt companies. The Sri Lanka Deposit Insurance and Liquidity Support Scheme is a new scheme that we have started to support the depositors of lost finance companies. Under this program, a depositor will be compensated up to a maximum of Rs. 600, 000. So, many of the small-time depositors will benefit,” he explained. “We have taken action against those who have misappropriated public funds, but a maximum penalty that could be imposed on a guilty person is limited to Rs. 5 million and imprisonment by High Courts. We need to amend this provision. We have listed 156 Sri Lankans who have been found as unfit to hold positions in finance companies as chief executives or as directors due to their past shady actions,” he added. According to the Central Bank, Sri Lanka has 44 licensed finance companies. By the end of 1Q 2018, the total asset base of all these companies stood at Rs. 1.395 trillion out of which Rs. 693 billion was raised out of public deposits. “These finance companies account for 7.9% of the total finance base of the country. They accept public deposits, and also provide leasing and other financial services. By the end of March, comprised of their own funds, these companies have disbursed Rs. 1.102 trillion as loans creating some instability in the segment,” said the Minister.